I wish this was still there. 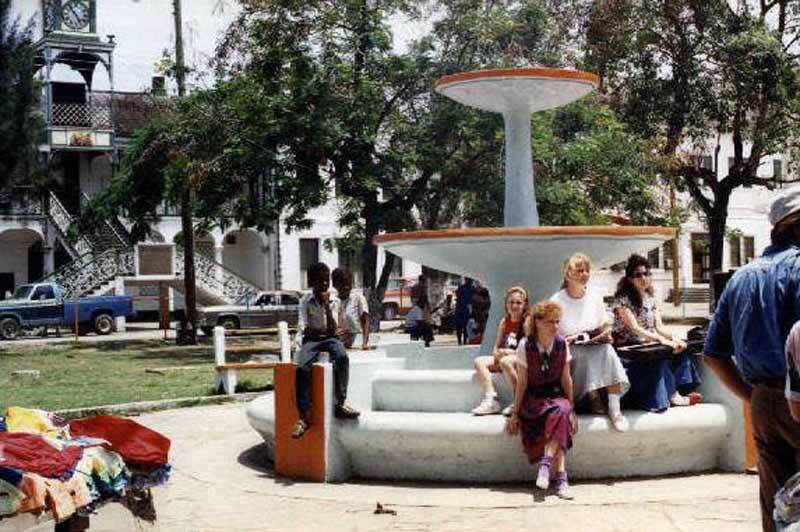 First time I took my children (Canadian born) to Belize, I had them playing on this fountain. Central Park WAS El Centro! Downtown! My parents would take us there for a Sunday evening stroll. 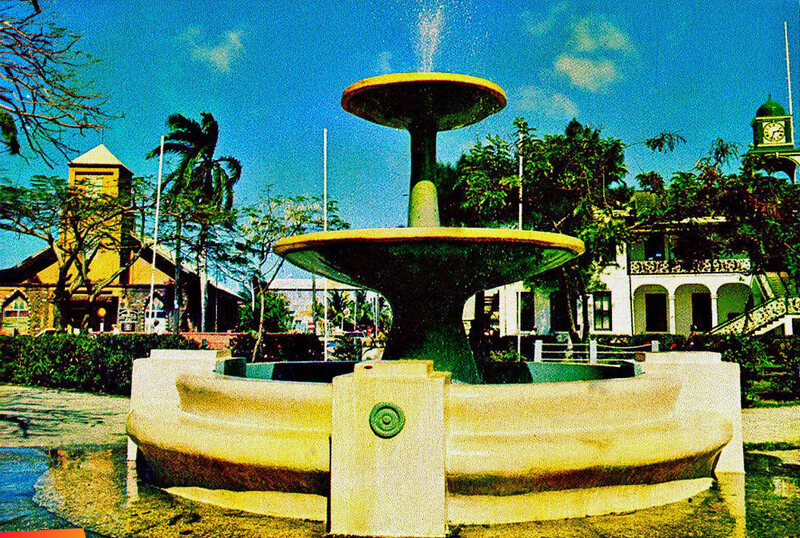 My dad had a kodak box camera and would have us pose by the fountain for pics----such great memories.. I especially enjoyed when the fountain worked and the flowers bloomed! I rember the park i love to go to the park with my brothers and sisters and walk out to fortshore and the breeze blow in you hair it wonderful time fot me in the year 1975, the was good up to 1981 after independence the little belize change , for what it is today . I sheltered in the Barclays Bank building with my family during hurricane Hattie. Also my school chum Trevor Graham lived with his folks in the penthouse. Barclays Bank was at the bottom. 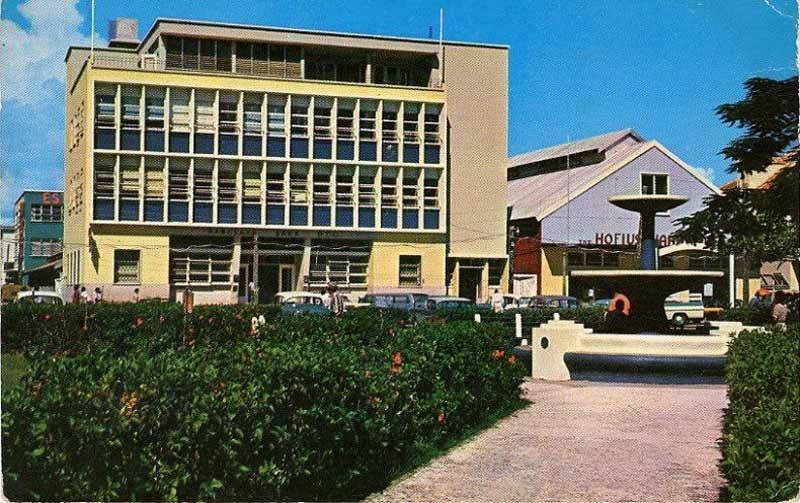 The passport office was upstairs.In those days they had helpful and courteous people to wait on you.